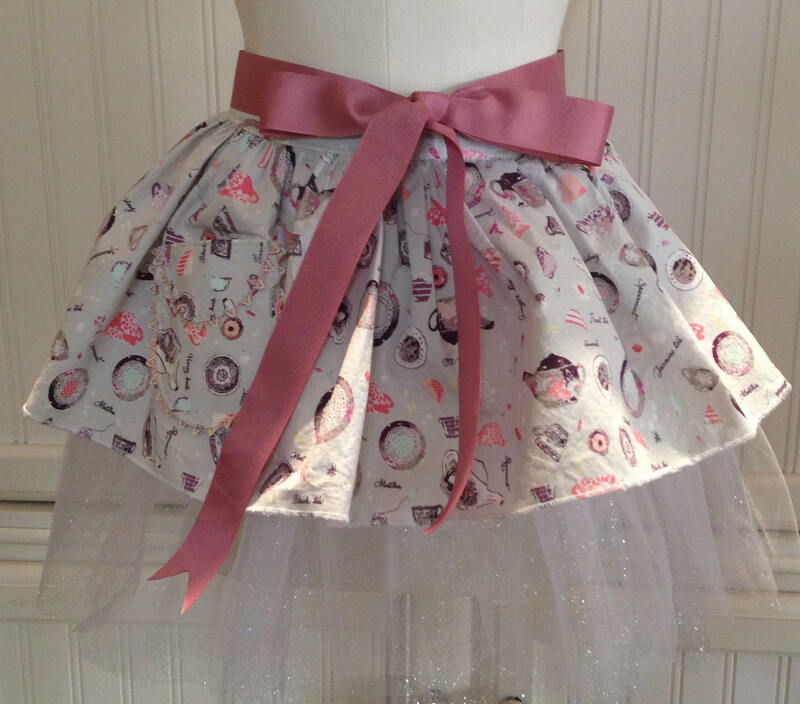 Tutu for tea aprons for your little ballerina. These are not your every day aprons. They are made for the little ballerina in all of us. These are take your daughter to a holiday tea party aprons. They are just tutu pretty with the layers of colored shine and silver sparkle tulle below the precious tea party print. These aprons have extra long matching satin or grosgrain ribbon ties. 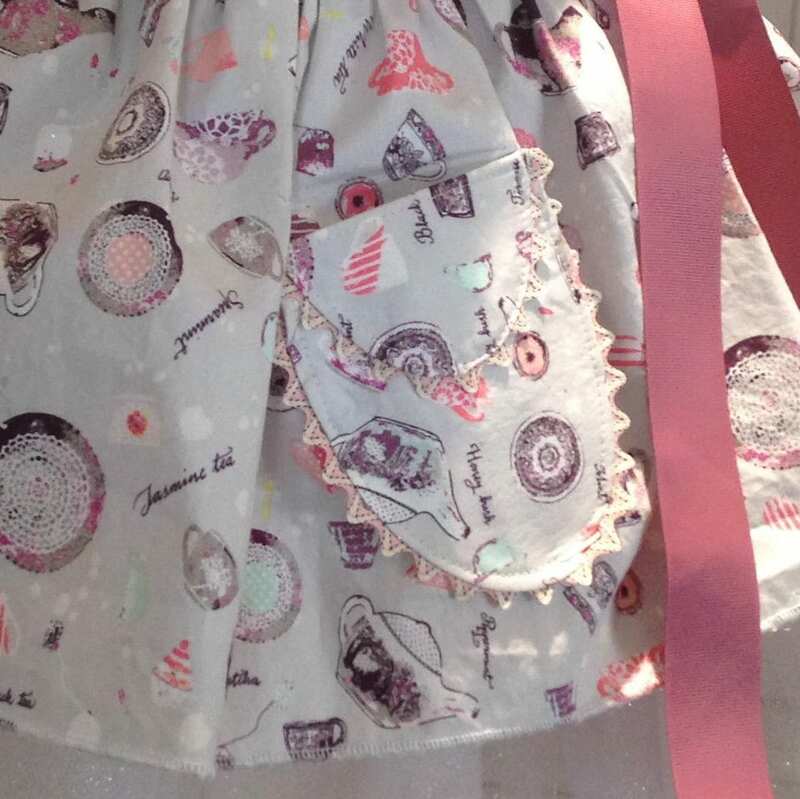 This little girl apron is made from special gray and pink tea party fabric. It has mauve grosgrain ribbon ties and a cute little picket to hold special treasures. The bottom layer of tulle is silver sparkle. Who can resist these fanciful aprons? Make memories for your little girl with these very special aprons. Extra care should be taken to keep these aprons lovely. No messy baking in these just a cuppa and a scone, please. Machine wash very gentle in cold water and drip dry. Apron material has been pre-washed to prevent shrinkage. Note: see my special listing for fabric choices for your custom made tutu for tea apron sets.